How Dense Can Ya Get? Your bad guy hides behind Prada and a smooth personality. His car has leather seats. He whips out his Platinum card with the carelessness of one who doesn’t have to worry how much he charges to it. And he has captured your Main Character’s eye. She has a choice between the flashy guy who “knows how to treat a woman” and a plain ol’ blue-jeans clad country boy whose actions can be misinterpreted to put him in the worst light possible. He has a certain charm, but in your MC’s eyes, he’s the bad guy. Wow. That’s the makings of a good story. But it’s also a delicate balance. As the story goes along, we, the readers, learn the true nature of each man, and before long, we’re on the edge of our seats as our heroine consistently makes the wrong choice. The writer always lets us into her mind, always shows how she reaches her conclusions, always puts the good guy in compromising positions that confirm her opinion of him. After a while, though, it’s time to start showing her doubt of her choices, otherwise we, the readers, start getting seriously frustrated with the woman. Soon after the midpoint, she needs to start getting niggling little doubts that increase beyond a “niggle” by the three quarter point. By this time, she should be in deep, completely entangled with the wrong guy, so the last quarter of the book leads to the nail-gnawing climax and satisfying conclusion. If the writer doesn’t increase those doubts, the readers form the idea the MC gets what she deserves for being so dimwitted. Nobody can be that bad a judge of character, right? Surely she can figure this out by now! C’mon lady! Ya gotta be kiddin’ me!!! Timing is everything in novel writing, which is one reason why there are so many books on structure in existence. Readers expect certain things to happen at certain times, whether they realize it or not. By midpoint, it’s time to move from set-up to the next phase–in this case, the dawning on the character that maybe she’s wrong in her choices and opinions, which slides neatly in to the idea that her being wrong all this time has put her in danger. Outline your novel to follow a structure, or at the very least keep structure in mind when you write. Quarter point, half point, three-quarter point, climax, end–know what should happen in each phase. There are tons of books out there that teach this. One of the best is K.M. Weiland’s Structuring Your Novel. If you know what’s supposed to happen when, you won’t have your readers yelling at your characters. Linda W. Yezak lives with her husband and three cats in a forest in east Texas, where tall tales abound and exaggeration is an art form. She holds a BA in English and a graduate certificate in Paralegal Studies. Thirty years later, she’s finally putting her degree in English to good use, combining it with her natural inclination toward story-telling to create fun, unique novels. 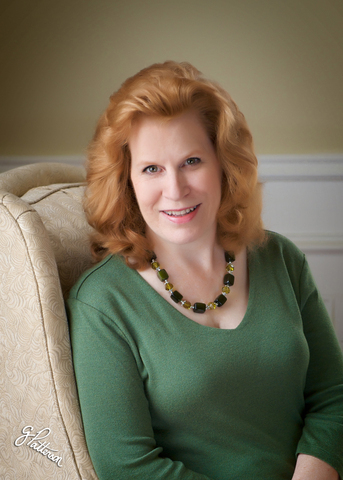 Her publications include Give the Lady a Ride, a 2008 ACFW Genesis finalist and a 2012 Carol Finalist, as well as a 2011 Grace Award Winner. Her new release, The Cat Lady’s Secret, was a Genesis finalist in 2010. 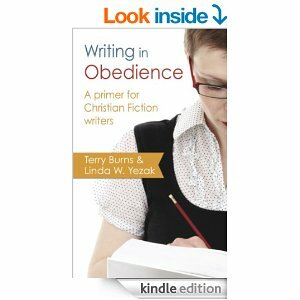 She was a contributing author for 31 Devotions for Writers and coauthor with agent Terry Burns of Writing in Obedience. Join the fun on her Facebook author page and enjoy her posts on her blog, 777 Peppermint Place. Thanks for sharing this, Joanne! You nailed it, Linda. So many romances make me throw the book scrolled the room for the dim-witten MC. I’m not a fan of category romance, where all thats at stake is the romance. I like one that includes a lot more story. Because I can’t suspend disbelief over a MC whose dumber than a post about people. Good article and I believe it underscores a basic human trait, people cannot be counted on to be logical about choices concerning their love life. If they could it would put most romance writers and most soap operas out of business. I’ve wanted to yell at a character or two over this very issue, or at least strangle the book (it’s tougher with a Kindle.) May authors take your words to heart. Excellent article. Timing is absolutely everything.